Our clients are typically small wastewater plant owners, such as public facility owners, developers, multi-family residential properties and commercial property owners who manage business complexes, shopping centers and restaurants across California. In addition, we frequently work with public schools and state and local agencies. The Paradise Cove Beach Café, located directly on the historic Paradise Cove beach in Malibu, is a nostalgic delight among Southern Californians. When the Café upgraded to a 300-seat beachside restaurant, we designed and permitted for them an expanded wastewater treatment system that safeguarded the health of the ocean and all beach-goers. Every aspect of the treatment system was modernized. We incorporated the use of chlorination for disinfection; replaced a one-acre subsurface drip system in the forested beachside slope; and recommended the Café use an alternative meat-thawing method that ended up reducing their water consumption by over 30%. People from around the world come to visit Death Valley’s Furnace Creek Resort, filling it to capacity year-round. This unique resort stands 200 feet below sea level and is also a completely self-sufficient, lush oasis in the middle of the desert. 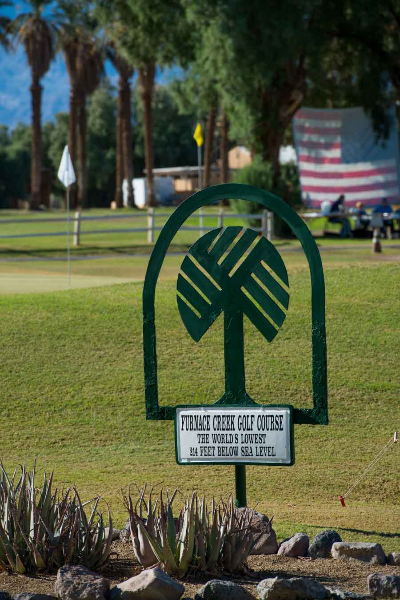 Furnace Creek called on us to prepare the design, permitting, and construction drawings for their new 85,000 gallon per day water treatment system using AXMAX. They engaged us in this project after we successfully mapped a treatment and disposal system for them. The map pointed out areas of malfunction throughout the 150,000 gallon per day extended aeration treatment and disposal field and gave estimated upgrade costs. We also implemented a bio-filtration treatment process that reduced both energy cost and operator oversight of the system. Finally, shallow subsurface drip dispersal was designed for the golf course driving range to supplement irrigation. 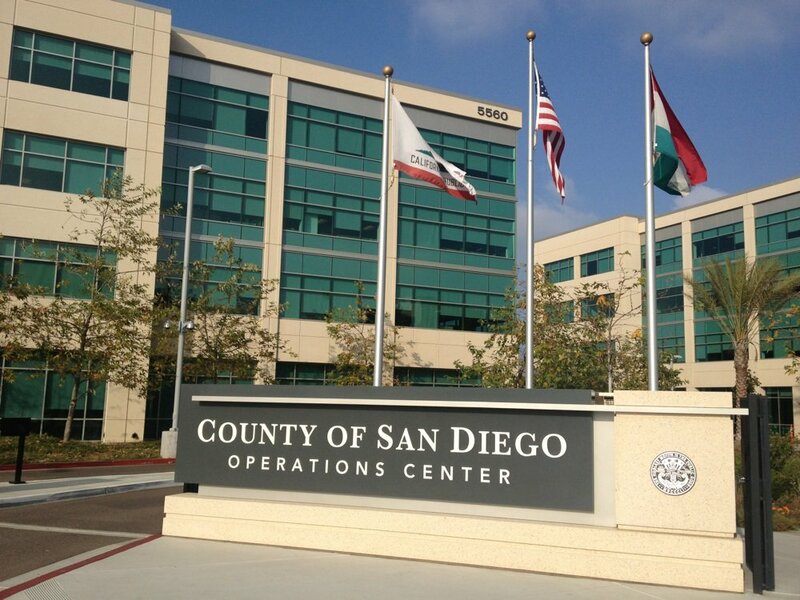 The County Operations Center, a LEED Platinum office complex, was the first of its kind within the San Diego city limits to evaluate an onsite water system to capture and recycle all its water. This efficient decentralized water system will replace 20,000 gallons per day of fresh water for the Operations Center’s cooling towers, which provide air conditioning to all 12 of their large buildings. We started by preparing a technical and financial feasibility study that calculated how much water could be recycled and how it could be used, then identified the appropriate technology for the job. We successfully developed the water system by working with contractors and suppliers. We also developed realistic project costs and sewer rate projections for the Operations Center with an investment payback period of 12 years. In this exciting project for the City of Fillmore, California, we helped four public schools, a new municipal park, and an historic right-of-way reduce outdoor water consumption by 20%-40%. This was accomplished by designing more than 30 acres of subsurface drip irrigation systems that used only recycled water. We performed all calculations, developed the designs, prepared specifications and drawings, and provided construction support. At the new Two Rivers Park, virtually all sports fields are irrigated subsurface using recycled water. We needed to wear both shorts and a parka to complete our three onsite water treatment systems for the Palm Springs Aerial Tramway. Two of the systems were installed in freezing temperatures at high elevation in the San Jacinto mountains; the other was installed on the valley floor in the searing heat. The systems atop the mountain required a particularly unconventional method of installation – via air travel. To ensure we weren’t intruding on the protected grounds any more than necessary, all materials to build the systems had to be delivered by either tram car or helicopter. We completed the project by preparing two source reduction plans to conserve water and remove toxins from wastewater. Our water-conserving recommendations included commercial kitchen practices as well as state-of-the-art near waterless toilets in public restrooms. The Meadowbrook RV Park, a low-income senior residential community, urgently needed a new septic system – the least expensive option that would improve treatment and substantially improve onsite disposal. Therefore, at a very discounted rate, we designed a simple aeration system with bacteria augmentation and odor controls. For disposal, we recommended a large mound system – the largest in Southern California – which the county approved. This solution saved several hundred thousand dollars in construction and dramatically improved the quality of life for Meadowbrook’s residents. Positioned on the bluffs overlooking the Pacific Ocean, the Paradise Cove Mobile Home Park is the most expensive mobile home community in the United States. 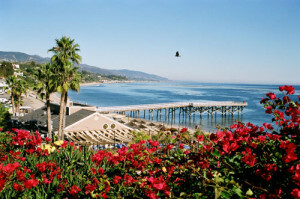 It was also one of the very first properties in Malibu to upgrade to a decentralized, onsite water treatment system. We designed everything for this system, soup to nuts – small-diameter variable grade sewers, septic tank clusters, lift stations, Orenco AdvanTex secondary treatment, UV-ozone disinfection, and subsurface irrigation. Our work on this project not only brought the mobile home park into compliance with the RWQCB, but also substantially improved the quality of their wastewater infrastructure. The owner and water agency are collaborating to recycle all of the treated water. We are engineering the new treatment processes, preparing the permit application, and construction drawings to replace fresh water with recycled water for irrigating the Park. For decades, the Trancas Country Market was an aesthetically and structurally outdated shopping center that only serviced local beach goers. Today, it’s a vibrant LEED-certified shopping hub with three restaurants, a market and deli, several small retail stores, and a nursery. Part of Trancas’ revitalization plan included designing a comprehensive wastewater treatment system, which we headed up. Due to the highly sensitive groundwater environment near the ocean, Malibu residents were worried about the potential for pollution that a new wastewater system might produce. In response to the citizens’ concerns, we ensured there would be no ground contamination by developing pollutant loadings for an extensive groundwater delineation model. Additionally, we designed secondary biofiltration; a peat-based denitrification system; and UV disinfection with in-ground, onsite disposal. Nestled in the hills of Silverado Canyon in Orange County, Saint Michael’s Abbey – a new monastery and convent – needed an efficient onsite wastewater system that would treat existing contaminants and produce high quality water. The Abbey’s imminent design plan, which includes planting a vineyard, increases the property’s need for treated water. After conducting a technology assessment of the property, we decided to go with a biofiltration treatment plan because of its suitability for phased development sites like the Abbey. Filtered and disinfected water will also supply the irrigation of grapevines in the planned vineyard. 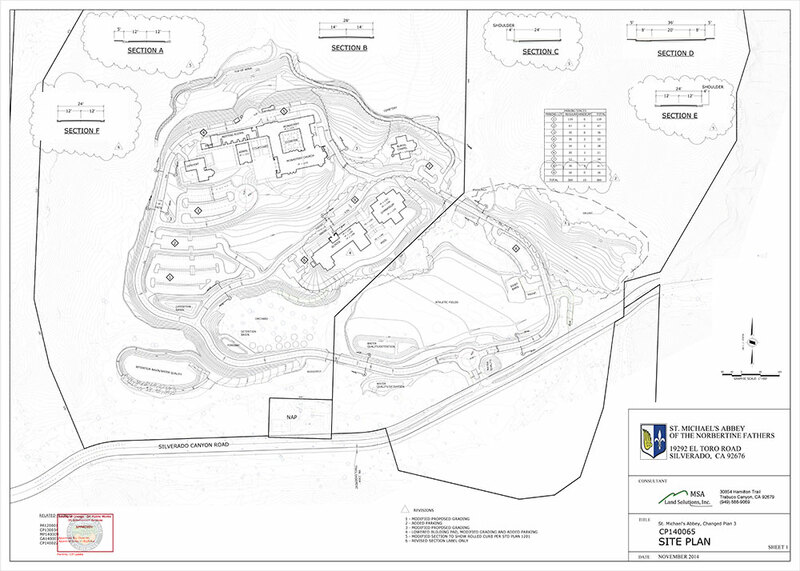 The treatment components are arranged in separate locations throughout the property, with the main facility located some distance from the Abbey’s activity centers. El Rancho Escondido is a complex of remnant estates from the famous Wrigley family, founders of Wrigley’s chewing gum. 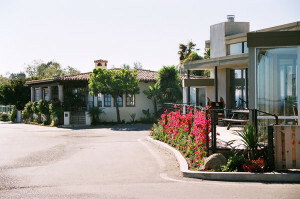 The Wrigleys built El Rancho on the highlands of Catalina Island as a summer retreat. While the property is still under permitting by the Los Angeles Department of Public Health, it is slated to be upgraded from a genuine “old California” ranch to a historic home acclimated to modern standards. When complete, El Rancho will include a winery, chapel, and welcome center for tourists. We designed El Rancho’s treatment system to be built in phases, including a separate phase for the winery’s wastewater. All wastewater will receive advanced treatment and disinfection, and the treated water from the winery will be reused in the vineyards.